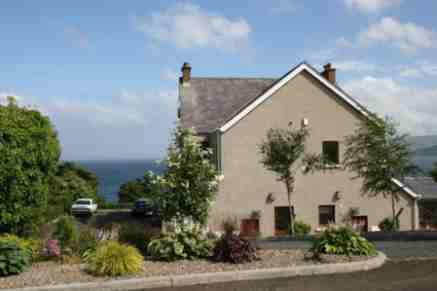 County Antrim Cottages for rent-in unearthing the breathtaking countryside of Ireland , there are many waiting for you and here are a selection in County Antrim. 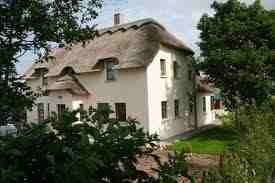 This is a beautiful Irish country cottage and if you are looking Irish Cottages to rent Bushmills Thatched Cottage has the dream holiday awaiting you. For more information and pictures just click its link. You can smell the earthy peat as it burns on an open fire or cook a gourmet meal on an AGA range or modern hob in an ultra delux kitchen. Soak away the aches and pains in a slipper bath, lean over a half door and admire the view or snooze away in a four poster bed. You can read a good book from the mini library, listen to your favourite music piped into any room. Browse the internet, experience the temperature controlled wet room or sample the bar in the Sun/TV room. If you are looking for Irish cottages to rent in Ireland Largy Coastal Apartments are 5 Star luxury accommodation with magnificent sea views over the North Channel to Scotland. For more information and pictures just click through its link. Modernised to a very high standard, large lounge area with wide screen television including free sat, video recorder, DVD player, radio/CD player and internet access. All bedrooms en suite with bath and shower facilities, towels and bed linen supplied. The fully fitted modern kitchens are stocked with dishwasher tabs, washing powder, washing up liquid, kitchen rolls and tea towels. A welcome pack is provided including an initial supply of milk, tea, coffee, sugar, biscuits, fresh flowers and toiletries. Situated on 1 acre of mature gardens and woodland extending to Coast road. A log cabin is supplied with binoculars for observation of activity on the sea and bird life. A decking area gives additional outdoor space and is provided with steamer chairs for relaxation and tranquility. Picnic tables/chairs, benches and BBQ are provided for alfresco dining. It is a short walk from the apartments to the local beach, shops and restaurants.